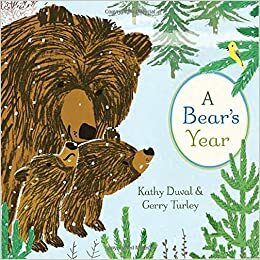 Summary: Told with a rhyming couplet on each page (“Winter Bear drifts into sleep/Earth’s snowflake blanket soft and deep”), this story follows a mother bear and her cubs as they move through the seasons. Starting with their winter birth in a cave, the cubs and their mother emerge in the spring, eating, playing, growing, and learning to fend for themselves. By the time winter rolls around again, the cubs are old enough to be able to dream about being on their own. 40 pages; ages 3-6. 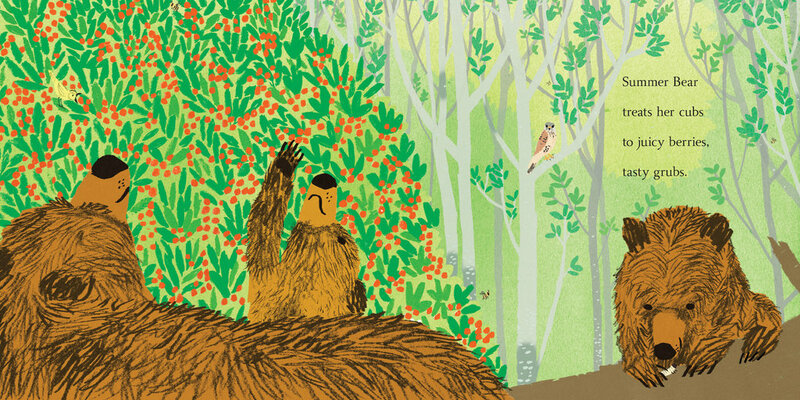 Pros: Although the text is spare, readers will learn about bears and the seasons, both through the writing and charming illustrations that perfectly capture the feel of each time of year. Cons: The bear picture book shelf is already pretty crowded. The teacher’s guide is available on the publisher’s website.